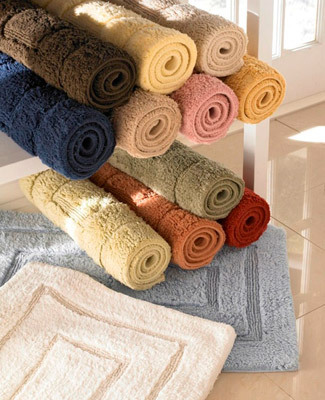 Woven from 100% Egyptian cotton to exacting standards, this finely made bath mat will give you years of wear, while maintaining it's color and shape integrity. Start your day out right with a luxurious bathmat under your feet! machine wash and dry. For prolonged life of your bathmat, remove from the dryer while slightly damp and shake to give extra fluff.